Techedog HTC HTC Kingdom HTC Rider HTC Kingdom and HTC Rider leak: Euro EVO 3D? HTC Kingdom and HTC Rider leak: Euro EVO 3D? 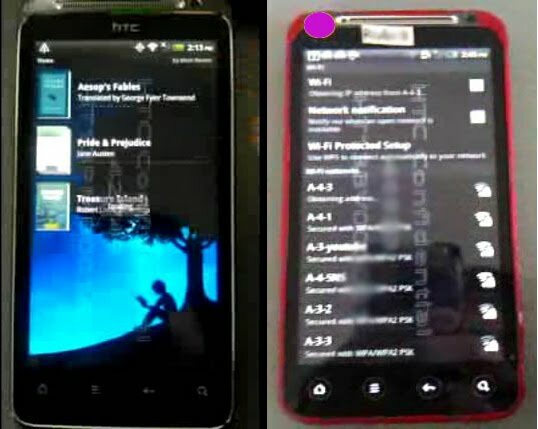 Two unannounced HTC Android smartphones have leaked, the HTC Kingdom (left) and HTC Rider (right). Caught in the wild by 911Sniper (here and here), the two handsets look physically similar, but the Kingdom has a qHD, 960 x 540 display; both phones appear to have a front-facing camera, and it’s suggested that at least one could be the GSM version of the HTC EVO 3D. HTC has already confirmed that a European version of the EVO 3D is in the works, with a GSM radio rather than the CDMA radio for the North American market. The red Rider certainly does look similar to the EVO 3D, with the touch sensitive buttons each circled with an illuminated ring. As for the HTC Kingdom, that could be an alternative US version of the HTC Sensation – so far HTC’s own device with a qHD panel. It’s possible that it could be a variant of the Sensation with a CDMA radio: the Sensation 4G is headed to T-Mobile USA, but either Verizon or Sprint could be angling for a customized version of their own.